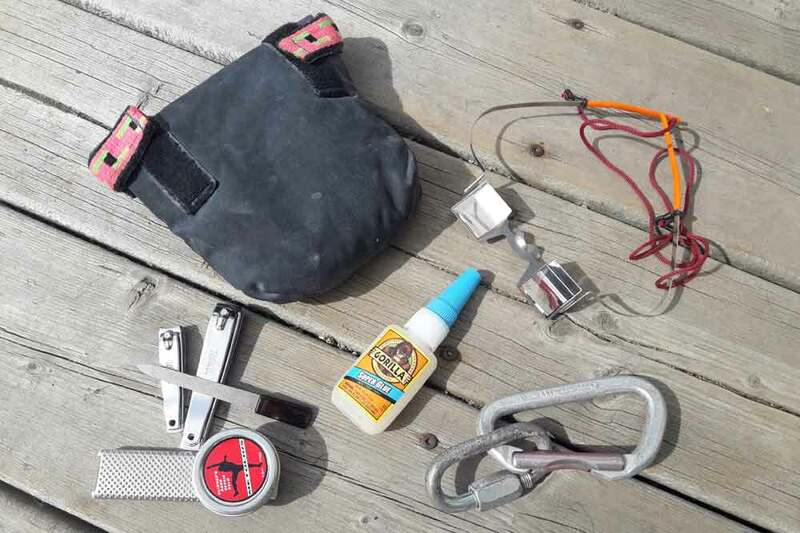 With the spring climbing season almost here, this is a great time to look at some items that every climber should have in their pack. It’s worth noting that this not a comprehensive list. 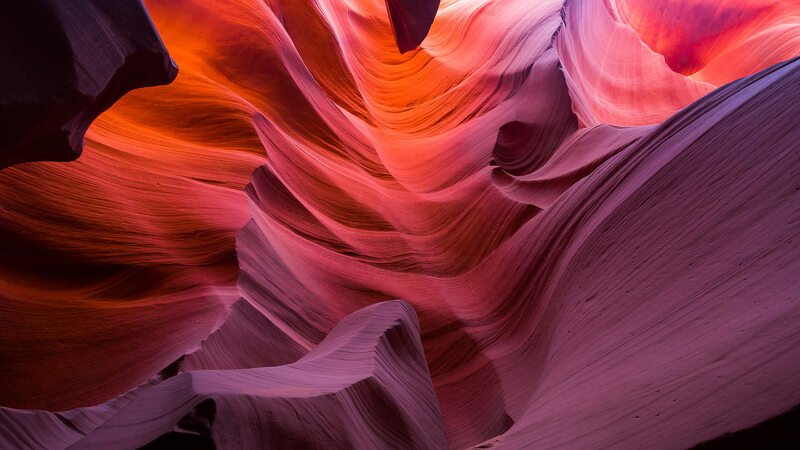 The article focuses on less obvious items and assumes that climbers are carrying a first aid kit, a headlamp, sunscreen, bug repellent and a stick clip. Clockwise from the upper left: The Verve Parisian (the original Chalk Locker), Belay Glasses, Bail Biner and Quick Link, Super Glue and Skin Kit. While some climbers use the glue to seal up small cuts (not an endorsed practice), super glue is better suited for securing tape when taping fingers or hands. Start by placing a small dab of glue on the unbroken skin, start wrapping the tape (apply dabs of glue as needed) and then use a final drop of glue to seal the tape on itself. This tactic is incredibly effective and reduces the need for frequent re-taping during the day. Go to any crag and there’s always that guy or gal begging for chalk because they forgot to bring enough of the white sending powder for the day. While most climbers are OK with sharing their chalk, a better solution is to carry extra chalk for yourself. Unfortunately, overloading a chalk bag will only lead to spills both on the route and in your pack. And while the plastic bags that most companies use to package their chalk work great in the store, they are susceptible to punctures and leaking once they get into a climbing pack. A better solution is the Metolius Chalk Locker. This small robust bag has enough chalk-carrying volume for multiple cragging sessions and thanks to the roll-top closure all but eliminates chalk leakage. Every climber will eventually get on a route with a seemingly unsolvable crux. At this point, they can opt to call for the stick clip and try to clip past the section, or if they’re not comfortable with such rope work and bolt-clipping shenanigans, they can simply lower from a bail biner or quick link – cheaper than leaving behind a draw. Just make sure you have enough rope to get to the ground! Belay glasses might seem like an unnecessary luxury until you start belaying climbers that are working a project or climbing steeper routes. In these instances, you’re constantly craning your neck to look up which can cause discomfort and lead to you not paying sufficient attention to the climber. Belay glasses easily solve this dilemma by using prism lenses that allow you see up the route without tilting your head back. You can pay more attention to the climber (always a good thing) without having to see a chiropractor after the day at the crag. The glasses are versatile enough that many climbers use then when belaying on more vertical routes as well as when they’re climbing indoors (check with your gym before using belay glasses indoors). Initially belay glasses were only available from a single European manufacturer, but now North American companies like Metolius are offering a number of belay glasses including their new Upshot Belay Glasses. This should really be called a hand kit and should include nail clippers (for trimming nails and flappers), a small nail file, some hand balm and a piece of sandpaper for sanding down callouses. These items may seem trivial and unnecessary until you need them, at which point you’ll be glad you brought them along.